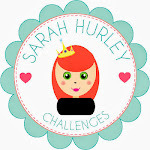 Sarah Hurley 365 (Formerly Sarah Hurley Challenges): Batty About You! Hi, it's Carol here and today I am going to share a card I made using Sarah's Silhouette Files, Sarah's Stamps and lots of other crafty goodies. 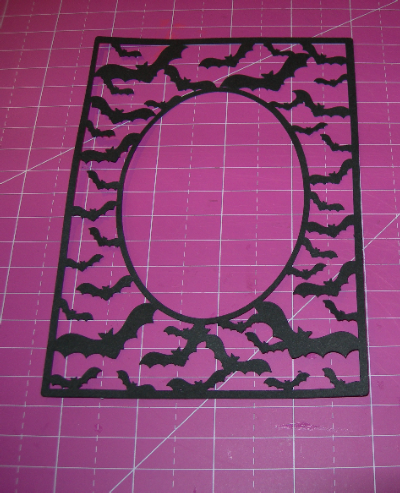 1 I picked the Silhouette file I wanted, then the colour of card I wanted to use, I picked the awesome Bat Card Frame. I also "released the compound path" of the file so I could cut out the oval shape in plain white card. 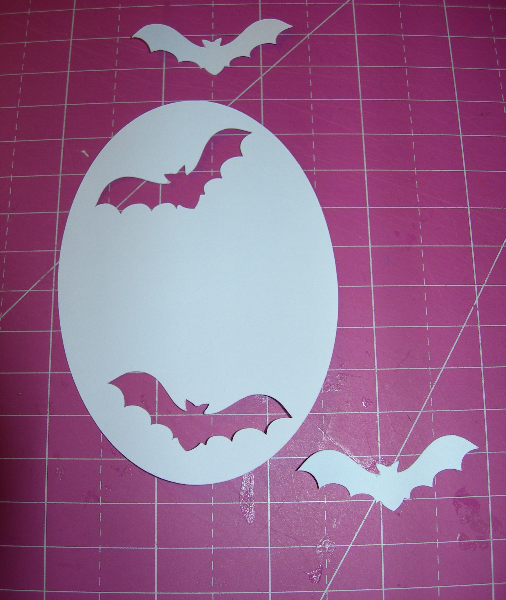 I also placed a couple of Bat Silhouettes on the top and bottom of the oval, you will see what I did with them next. 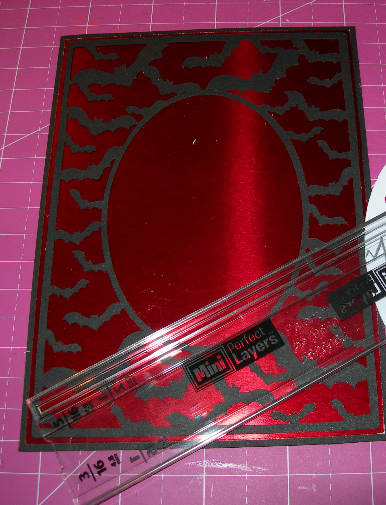 2 I placed the bat frame onto a piece of red mirri card and layered it up, with black card too. 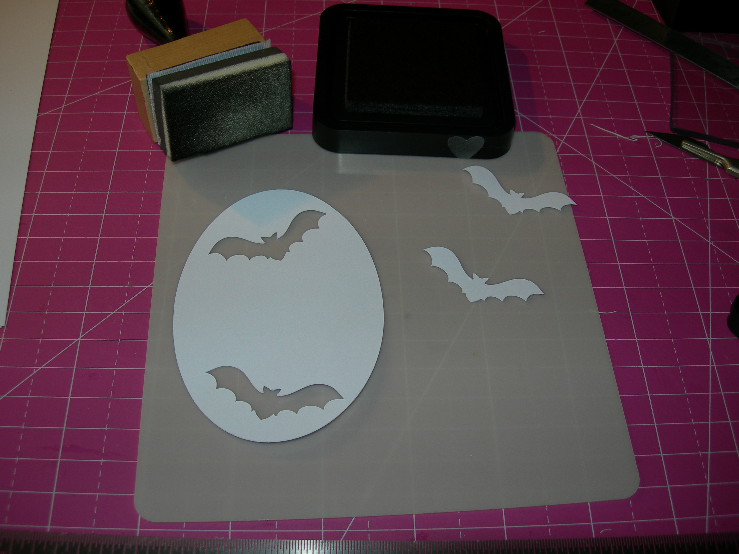 3 I took the Oval and the bat cut outs and distressed them using Black Soot Distress Ink. You will see the finished result on the card. 4 Once I distressed the oval, I stamped "Batty About You" using Sarah's Block Alpha Stamps and Lady Bug Memento ink, I used the Outline Alpha Stamps in Tuxedo Black to give some contrast. 5 I put the card together and popped a bit of 1mm foam under the body of the bats to make them look like they are about to fly off. 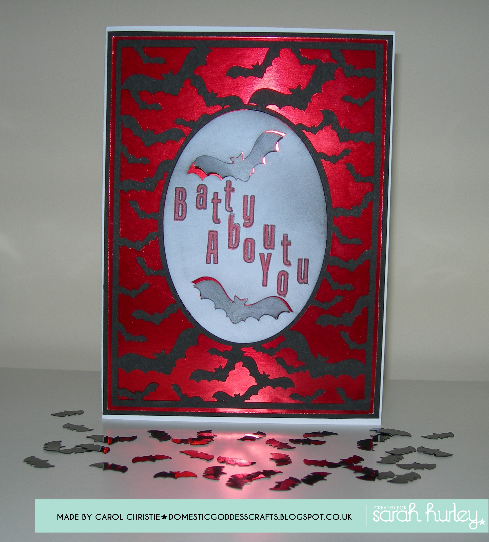 I really hope you like the card, and it shows that Halloween themed pretties can be used all year round. Thanks for popping by, remember there is still time to join in our Halloween Challenge.